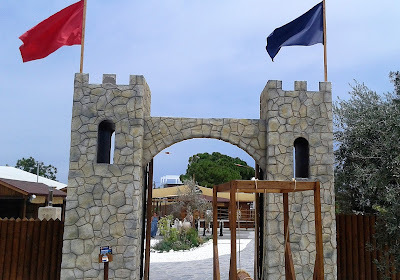 Earlier this year I started to see adverts for a new family attraction opening in Limassol - Cyprus Land Medieval Theme Park. I was very interested in what they had to offer and of course just had to go and take the boys for a day out there. Now, having lived in Cyprus for almost seven years I wouldn't say that I was overly optimistic about what the place would be like. I knew straight away that 'Theme Park' does not mean theme park in the way you would expect having heard of Thorpe Park, Alton Towers and such like. 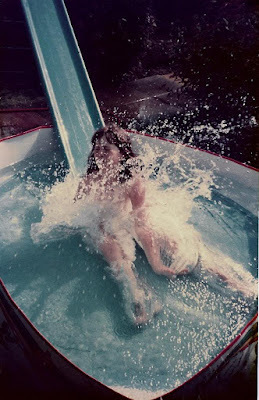 I was certain that by thinking along the lines of 'themed park' I would be closer to the mark. Not that I was going to let that put me off, I will happily travel the whole island to visit something that sounds worthwhile and I knew that my boys would love the knights and enjoy the trip regardless. I am predictably late with Leo's interview for this year, I did manage to record it reasonably close to his birthday which was back in May but I've had it saved on my phone for a few weeks without getting it up on the blog. It was not the best recording and I had it in mind to redo it but the star of the video was not so enthusiastic about a rerun so I thought we'd stick with the original!